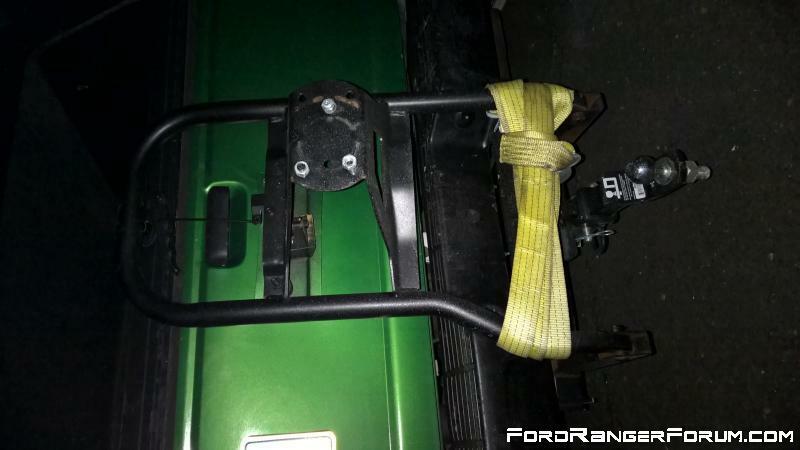 I have that spare holder on my Ranger, I got bracket made and welded to hitch receiver. Can you open the tailgate? I have to swing it down first, I would rather have swing to side but bed can't support the weight. I was thinking of doing the same thing, I was gonna chop the angled sections off and re-weld it to make it straight. How did you mount yours? 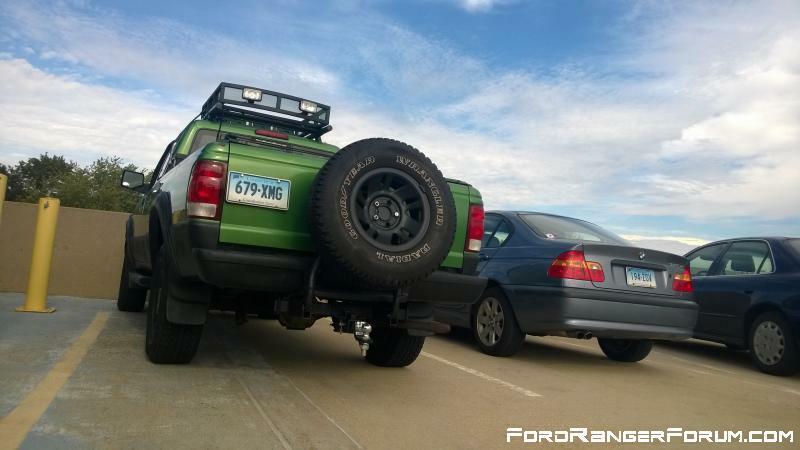 I like the setup he has but I wanna kinda combine that with a prerunner type of look, maybe turn it into a tailgate? I feel like if you fold down the tire carrier it's gonna get in the way as you're standing behind truck trying to open tailgate...like it sticks back too far. Opening to the side still requires clearance behind your truck but you can stand at the gate. Certainly couldn't fit those wheels under the truck. Last edited by dvrich; 03-23-2019 at 12:28 PM.